Zebra Technologies, which specializes in printing and automatic identification solutions, today announced the availability of an RFID Firmware Update for its RZ400/RZ600 printers. The update offers users several new applications, including the ability to print item-level RFID labels, package validation, document tracking and product authentication. According to Zebra, the updated printer is best suited for closed loop internal supply chain operations where there is a great need for smaller smart labels and direct-to-print inlays. Additionally, Zebra claims that using the updated printers will save companies in media material costs and reduce label waste, as more labels can be printed per roll. 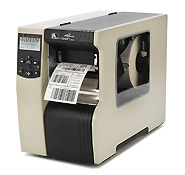 The RFID Firmware Update will be shipped with all new RZ400/RZ600 printers.